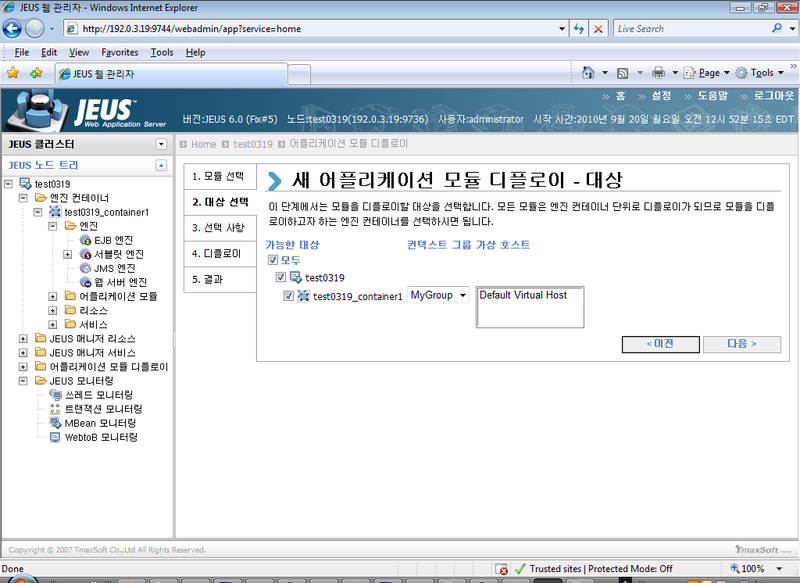 Welcome to PowerServer 2019 for JEUS installation! 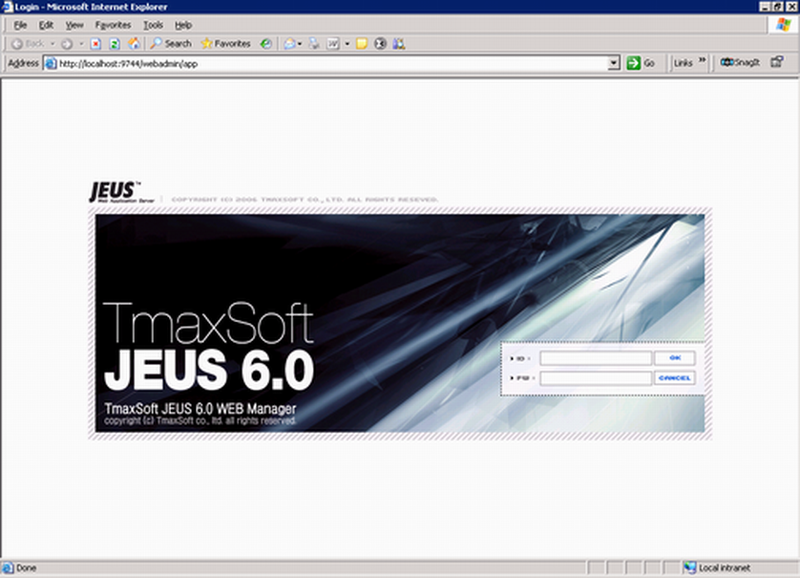 Step 7: Specify the home directory of the JEUS Application Server as the PowerServer Mobile/Web installation directory, for example, root/jeus6. The install directory is "/home/AppServer/jeus527-2"
The installer will start installing the files on your ssystem. 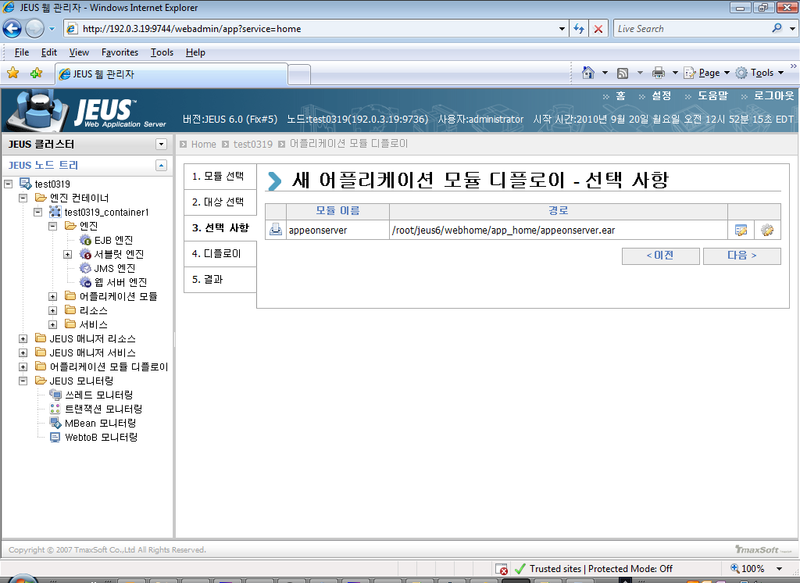 After the PowerServer Mobile/Web installation, you would need to manually deploy the PowerServer EAR package (appeonserver.ear) in the JEUS Web Manager. Step 1: Start JEUS Server. For detailed instructions, refer to Starting/Stopping PowerServer. 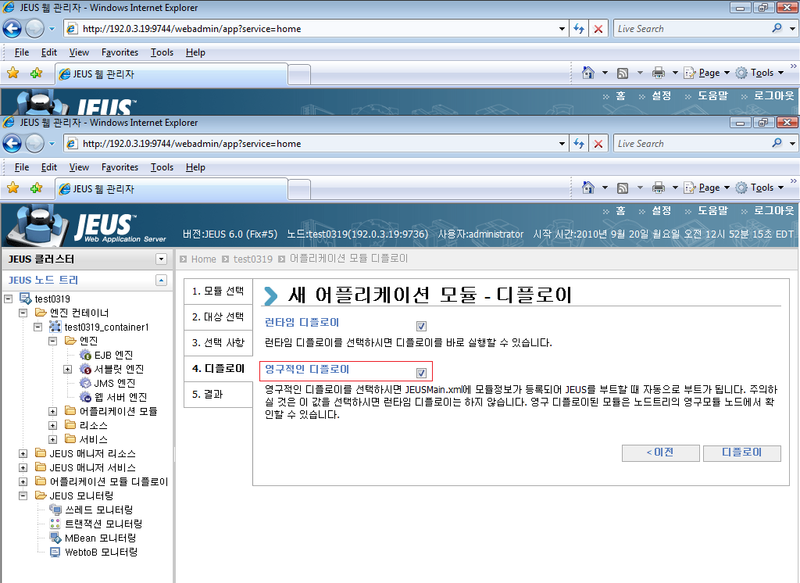 Step 2: Access the JEUS Web Manager via http://hostname:port/webadmin/. 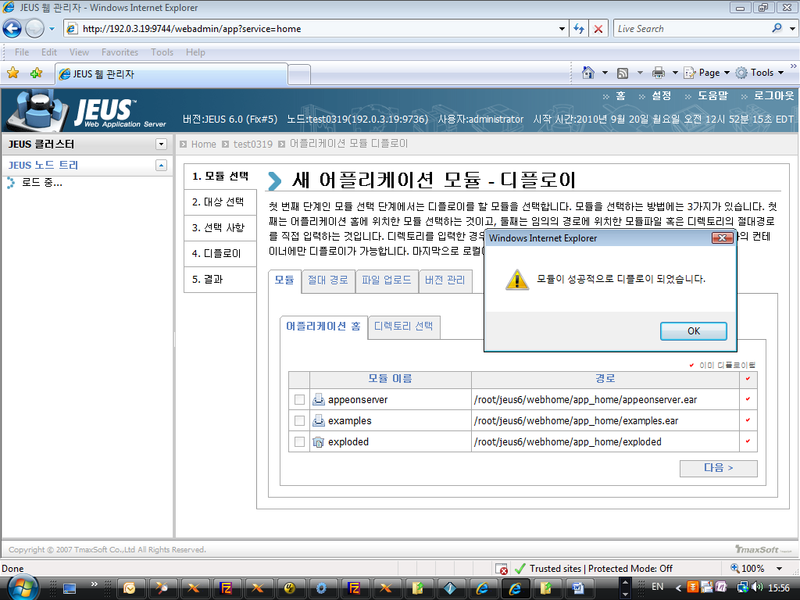 The logon page of JEUS Web Manager appears. 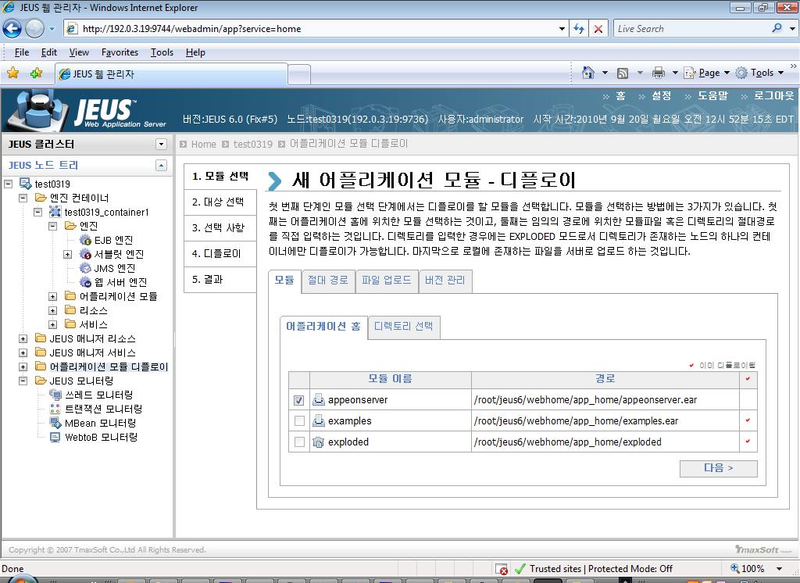 Step 3: Log in to the Web Manager using the user name and password specified during the JEUS installation. 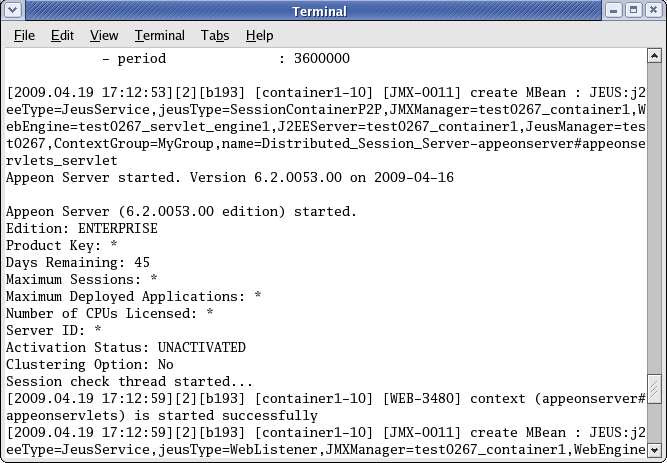 Step 4: Add the following parameter to the Command Option of the JEUS Engine Container where the PowerServer EAR package (appeonserver.ear) will be deployed. %containername% must be replaced with the name of JEUS Engine Container, as shown in the following figure. Step 5: Select the PowerServer EAR package (appeonserver.ear) for deployment, as shown in the following figure. Click Next. Step 6: Select the Engine Container where the PowerServer EAR package (appeonserver.ear) will be deployed. Click Next. Step 8: Select the Permanent deployment option. Click Next. Step 9: Deploy the PowerServer EAR package (appeonserver.ear). Step 10: Access AEM via http://hostname:port/AEM.